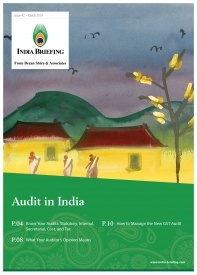 The Central Board of Direct Taxes (CBDT) recently finalized the guidelines for Place of Effective Management (POEM) regulations in India, which will come into effect from April 1. POEM is an internationally recognized test for determining the residence of a company incorporated in a foreign jurisdiction. Intended to curb corporate tax evasion, the new norms will apply to the assessment year 2017-2018 and subsequent assessment years. There will be no retrospective assessment. 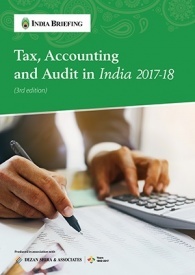 Changes to the rules for determining the place of effective management of a company with a view to assessing its tax liability were first proposed in the 2015 Union Budget. However, concerns of the investor community over the widened scope of tax assessment – that could make them prone to misuse – necessitated a narrowing down by tax authorities. In addition, the rules for determining POEM were deferred by a year to 2017 in the 2016 Union Budget to allow companies the time to achieve compliance. According to Circular No. 06/2017 by the CBDT, the ‘Place of Effective Management’ is the place where key management and commercial decisions for a business entity are made. Previously, the Income Tax Act, 1961 provided that a company will be deemed a resident of India if the “control and management of its affairs is situated wholly in India”. This offered companies a tax loophole whereby they escaped liability by “shifting insignificant or isolated events related with control and management outside India”. Its place of effective management, in the year of assessment, is in India. 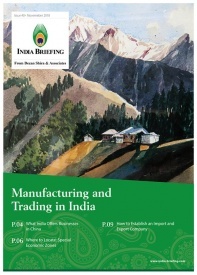 India has gradually adopted OECD standards to regulate residency and transfer pricing norms, and became a signatory to the OECD ‘s Multilateral Competent Authority agreement for the automatic exchange of Country-by-Country reports (CbC MCAA) in 2016. Both POEM and the General Anti-Avoidance Rule (GAAR) – that will come into effect from April along with POEM – tackle the perceived weaknesses in international tax rules, addressed in the OECD Country-by-Country Reporting Agreement’s Base Erosion and Profit Shifting (BEPS) measures. The POEM amendment is a business-friendly measure in so far that it streamlines the Income Tax Act to align with the provisions of India’s Double Taxation Avoidance Agreements (DTAAs) with other countries. However, foreign investors worry that the government’s crackdown on tax evasion is too heavy-handed. This concern was also expressed after the government negotiated changes to the Mauritius and Singapore DTAAs to crack down on shell corporations outside India that are effectively controlled and managed within India. 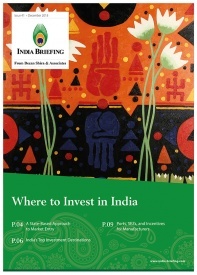 While foreign companies are relieved at the government’s decision to abandon the “at any time” provision under the new POEM guidelines, it remains to be seen whether India will follow the well rounded approach of the OECD. For instance, the process for determining POEM will now be based on whether or not the company is engaged in active business outside India. The OECD, on the other hand, provides for including factors such as: where the person’s headquarters is located; what country’s law governs the legal status of the person; where its accounting records are kept. The definition used to establish POEM in India is not as specific or rational as the definition used by OCED. This has created uncertainty for foreign firms, as they could be taxed up to 40 percent under POEM guidelines (domestic resident companies are taxed at 30 percent), in addition to 30 percent tax on income distributed to Indian shareholders. Another concern over the government’s interpretation is regarding the use of digital and conferencing services by top management, which would complicate the traditional application of POEM norms and expose liability to treaty contravention and double taxation. India’s efforts to streamline tax regulation and institutionalize efficiencies notwithstanding, tax authorities should remove any scope for uncertainty while implementing POEM norms and must offer companies clear legal guidance to achieve compliance. 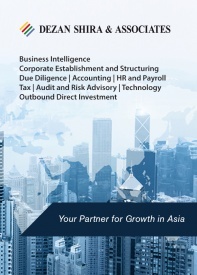 Dezan Shira & Associates Brochure Dezan Shira & Associates is a pan-Asia, multi-disciplinary professional services firm, providing legal, tax and operational advisory to international corporate investors. Operational throughout China, ASEAN and India, our mission is to guide foreign companies through Asia’s complex regulatory environment and assist them with all aspects of establishing, maintaining and growing their business operations in the region. This brochure provides an overview of the services and expertise Dezan Shira & Associates can provide.